Ranked as one of the Caribbean’s top dive destinations, marine life abounds in this scuba diving paradise with more than 470 fish species. Underwater photography is a favorite activity due to the incredibly clear water and unspoiled ecosystem. Average visibility is around 100 feet. 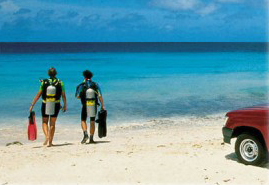 Warm water surrounds Bonaire with average temperatures of 78°F in winter and 84°F in summer. The west side of the island is generally calm with practically no currents. 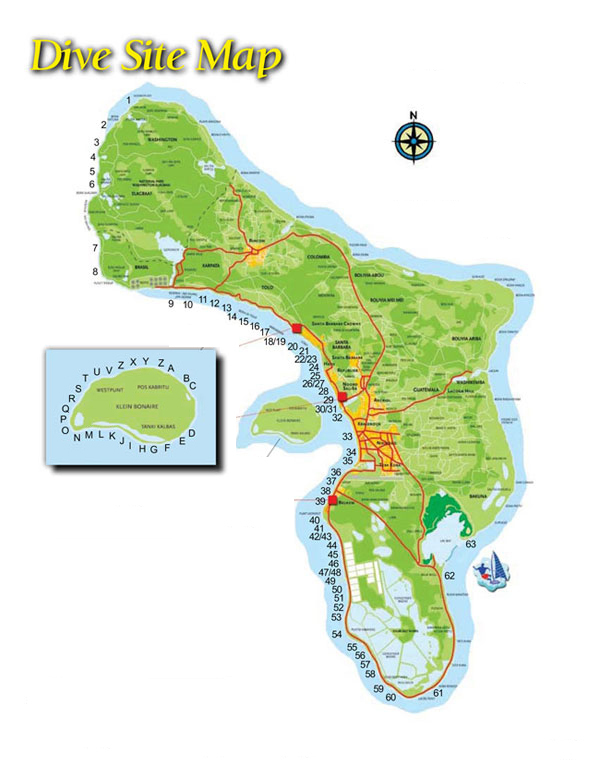 There are over 50 dive sites that are accessible from land making Bonaire one of the worlds top shore diving locations. Boat dives are also available from one of the numerous dive companies. Rent a truck and you can dive on your own schedule. Every marked dive site has adequate parking. Most dive sites on the island are drive up points of entry.